Shampoo commercials do a great job of convincing us that the only thing we need to have luxurious hair is a great shampoo. But there’s a lot more work that goes into great hair than a regular shampoo and wash. Even more than just getting those split ends trimmed every few months. Your hair goes through a lot. It’s exposed to the environment and the sun in the same way as your skin is. The water that you use to shower can contain minerals that dry it out. And of course, we’ve constantly brushing, tying, straightening, and curling our coif to achieve the looks we want on any given day. To keep your hair protected and to restore its vitality, you should be using the best hot oil treatment for hair. While it might sound counterintuitive, hot oil can actually do for your hair what even the most expensive cut and wash cannot. Keep reading to find out which ones work the best for you. A hot oil treatment is exactly what it sounds like. It’s a method for providing nourishment to your hair that uses natural oils and other ingredients. 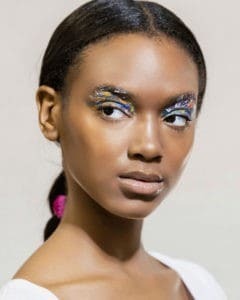 Whether you make it at home or order a pre-made treatment, these products are typically heated up and applied via massage to the hair as a leave-in for anywhere from a few minutes to overnight. Some of the common ingredients include natural carrier oils. When choosing from the best hot oil treatments, keep an eye out for: castor oil, olive oil, coconut oil, Argan oil, grapeseed oil, jojoba oil, and avocado oil. But for even better result, your hot oil treatment will include other protective and restorative ingredients. 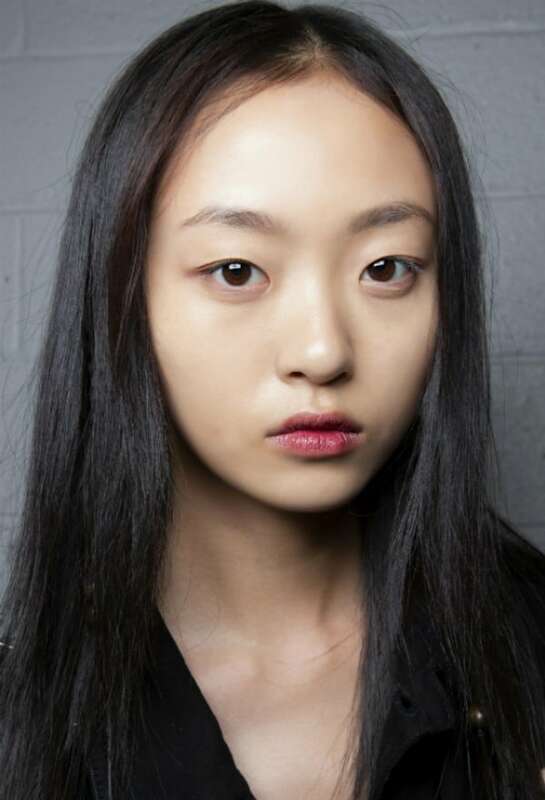 The list of ingredients that can be added to hot oil treatment is long and varied. Vitamins and minerals are among the top things you’ll want to look for. This includes vitamin e, biotin, proteins, and essential oils. For the ultimate in commercial-worthy hair, you want the best hot oil treatment for hair. And we’ve found the top 5. Keep reading to find out the benefits of each of these treatments and how they’ll restore your hair to its previous luxury. 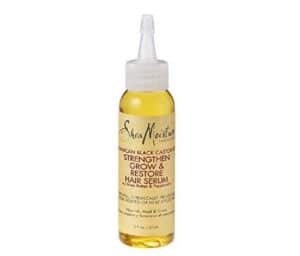 Made with 100% pure Argan oil and other natural oils like jojoba, this easy to use self-heating hair treatment will reduce your fizziness as well as protect hair against breakage and repair damage you’ve already developed. Infused with the added benefits of vitamin E, it will give your hair a healthy shine without sacrificing the volume and natural texture that gives your hair its oomph. 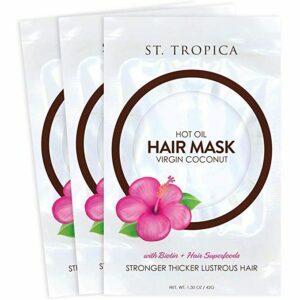 This hair mask harnesses the power of 3 key ingredients: coconut oil, green tea, and biotin. Coconut oil prevents protein loss so your hair is protected and strengthened, green tea stimulates and promotes hair growth, and biotin works to restore the elasticity of your hair so it’s less prone to breakage. But the mask is also packed with nourishing organic ingredients like hibiscus, so it retains its shine and vitality. When it comes to promoting hair growth, there’s nothing that beats Jamaican black castor oil. This powerful carrier oil is loaded with omegas that are good for both your hair and the skin beneath it. Combined with the moisturizing benefits of organic shea butter and the increased blood circulation that comes with rosemary oil, you can say goodbye to dryness and damage, and say hello to stronger hair that grows faster. 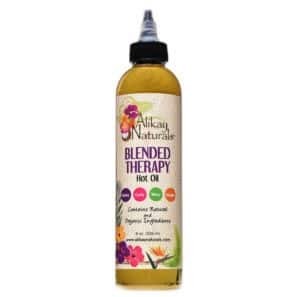 Blending hair-restoring carrier oils like avocado and jojoba with essential oils like rosemary, tea tree, and sage leaf, this hot oil treatment gives you shine, strength, and protection. 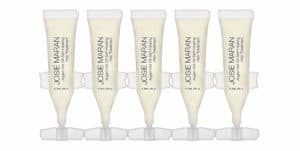 It’s antifungal and antibacterial, which is something you don’t often find in a hair treatment but something we need oh-so-very-much when treating our coif from the inside out. Better yet, this stuff is so powerful you only need to use it once a month. Finally – a hair treatment that has benefits regardless of your hair type! 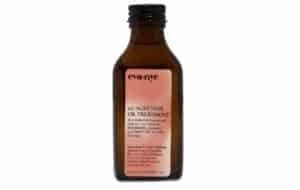 A simple formula that Kravis protein for the promotion of hair growth and argan oil for deep conditioning and nourishment, you can use this whether you have curly, straight, wavy, dry, or damaged hair. Whatever your hair needs are, this smoothing hair oil treatment feeds your strands exactly what they need with no extra, unnecessary ingredients. For those with dry hair, breakage is often a problem. Hot oil provides deep hydration that infuses your hair with the moisture it needs to fight breakage and split ends. And even if dry hair isn’t your issue, if you use a blow dryer, straightener, or curling iron on a regular basis, you’ll want to replace the moisture you’re taking out. When dandruff and flaking is a problem, it’s likely that you’re experiencing dryness on your scalp. Hot oil hydrates the skin beneath your hair. This will help reduce unsightly dandruff and flakes. With enough treatments, you’ll get rid of this altogether. Because they’re massaged into your scalp, hot oil treatments can increase blood circulation. This promote hair growth and a healthy skin – which is always a good idea. By regularly treating your hair with hot oil, you’re taking preventative measures. You’re making your hair stronger. Stronger strands mean protection against damage caused by heat, the environment, as well as dryness. The result is less split ends, less frizz, and a great ‘do. The sleekness that a hot oil treatment can give is unmatched by any other hair product out there. Your hair will be shinier and healthy-looking with regular treatment. Hair varies as much as the individual personalities that wear it. Finding the best hot oil treatment for hair is about recognizing what your haircare problem is and what ingredients will fix it. But one things for sure – healthy and happy hair is about more than washing and cutting. Incorporating a hot oil treatment can take you from hiding your hair under a hat to Rapunzel with regular application.